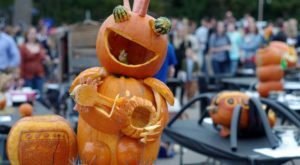 There are only a few weeks left until Christmas, which makes this week a perfect time to get out and experience some of Charlotte’s most unique holiday traditions. Whether it’s ice skating at Holiday on Ice or taking a drive through Christmas Town USA, these ten traditions are well known to Charlotte locals and so much fun to try each year. 1. Ice skate among Charlotte's famous Uptown skyscrapers. Holiday on Ice is an outdoor ice skating rink that magically appears Uptown each year right around the holidays. 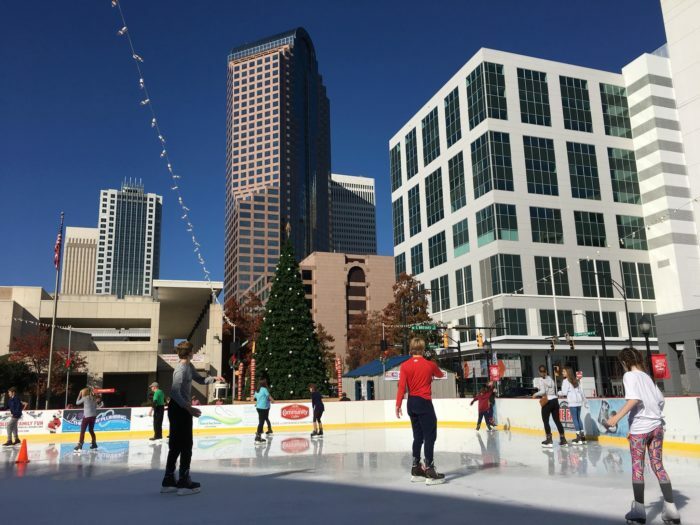 It opens in mid-November and stays open through Christmas so Charlotteans can enjoy skating with a view throughout the holiday season. Admission to the skate rink costs $10 plus an additional $4 for skate rentals. 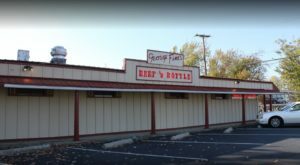 The opening of this rink is a sure sign that Christmas is upon us and is an awesome activity for the whole family to enjoy. 2. Take a winter walk through our favorite garden. 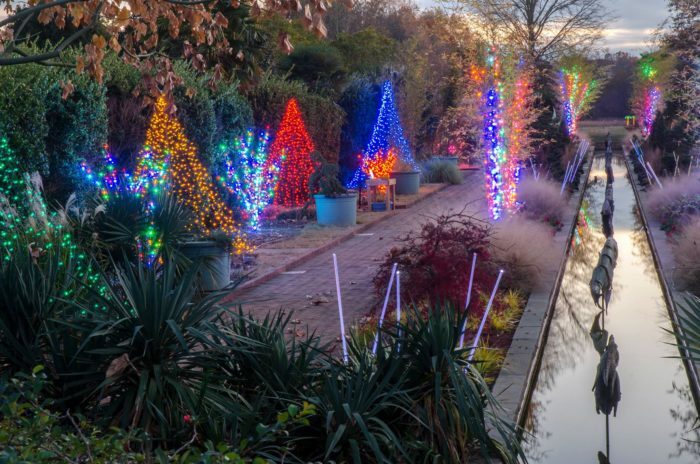 Each year the Daniel Stowe Botanical Garden hosts Holidays at the Garden from November 17 to December 31. If you're looking for a great Christmas lights show, this is the holiday activity for you as the famous Garden is outfitted with thousands of Christmas lights, decorations and more. 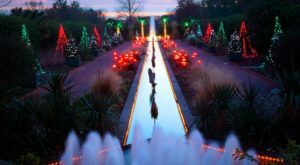 Charlotte locals love strolling through the garden, sipping hot chocolate and taking in the beauty of the amazing greenery and lights each evening. 3. Take in a magical performance of a traditional holiday classic - The Nutcracker. If you are one of those people who enjoy the arts, you might enjoy taking in a holiday performance of the Nutcracker. From December 9 through December 23 the Charlotte Ballet Company will be performing the Nutcracker at the Belk Theater for all to enjoy. Watch the popular holiday story come to life through the amazing talent of the dancers on stage. You'll feel like you're experiencing every move with them as you fall in love with this incredible story all over again. For more information, including online ticket purchase, head over to the Charlotte Ballet Company website for details. 4. 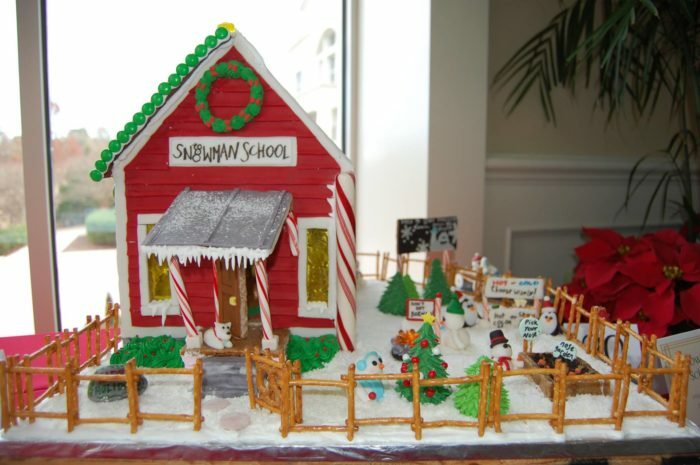 Visit the Ballantyne Hotel to see the most intricate and delicious gingerbread houses. If you love a good Christmas cookie, than Gingerbread Lane at the Ballantyne Hotel is the place for you. Each year, the hotel hosts a beautiful display of artfully designed gingerbread houses for the public to enjoy. Admission is free to everyone, and guests can vote for their favorite gingerbread house by purchasing a one dollar ticket. All proceeds of the contest are donated to the Levine Children's Hospital, so not only is this great holiday fun but you will be supporting a good cause as well. 5. Drive through Christmas Town USA to see amazing Christmas lights. 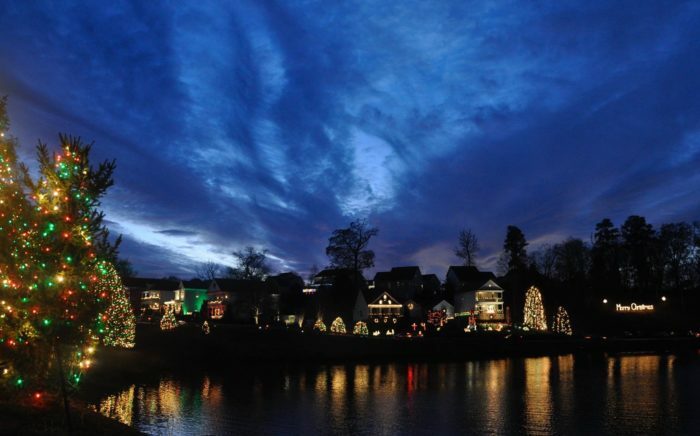 McAdenville, North Carolina is just a 20 minute drive from Charlotte and has been named Christmas Town USA due to the amazing lights and decorations the town puts up each year. 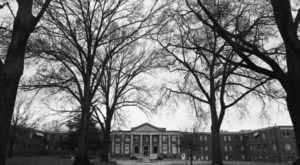 Visiting McAdenville at Christmastime is a well-known tradition to Charlotte locals and an awesome way to get into the holiday spirit. 6. 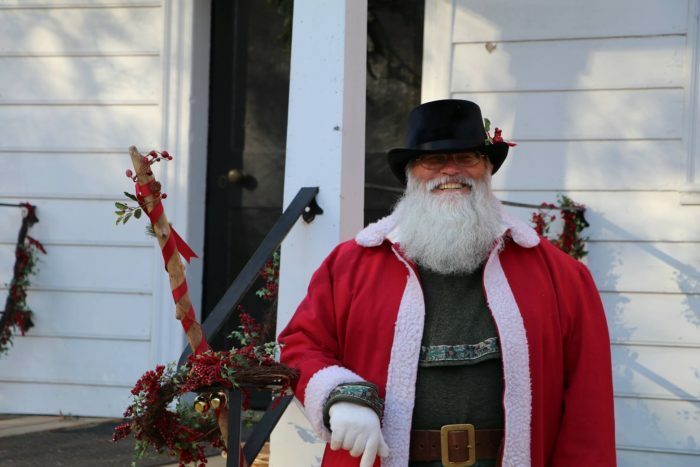 Feed your mind by attending the Historic Latta Plantation's One Hundred Years of Christmas. If you are history buff, you'll like this slightly weird Charlotte Holiday Tradition of 100 Years of Christmas at the historic Latta Plantation. Visitors can see the famous 1800s plantation home outfitted for Christmas and learn about how holiday festivities have changed over the years. 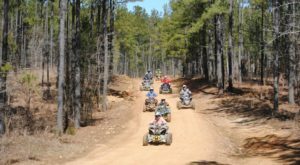 What a great way to experience the season and learn a little something too! 7. Experience Winterfest at Charlotte's one and only theme park. 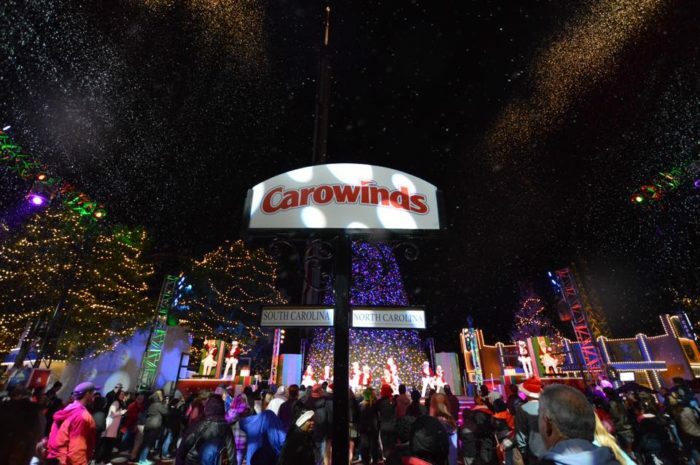 This year, Carowinds theme park has introduced Winterfest at the park where visitors can see their favorite amusement park immersed in the Christmas season. Lights and decorations cover the park and family-friendly holiday events and activities are planned throughout the month of December. There's nothing like riding your favorite Carowinds ride while experiencing the magical holiday glow all around you. 8. Get your chance to drive through the Charlotte Motor Speedway and experience the best light show you've ever seen. 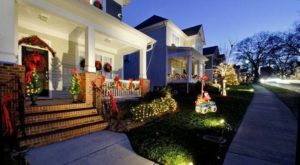 Christmas at the Charlotte Motor Speedway is definitely a holiday tradition unique to the Carolinas and NASCAR lovers all through Charlotte. 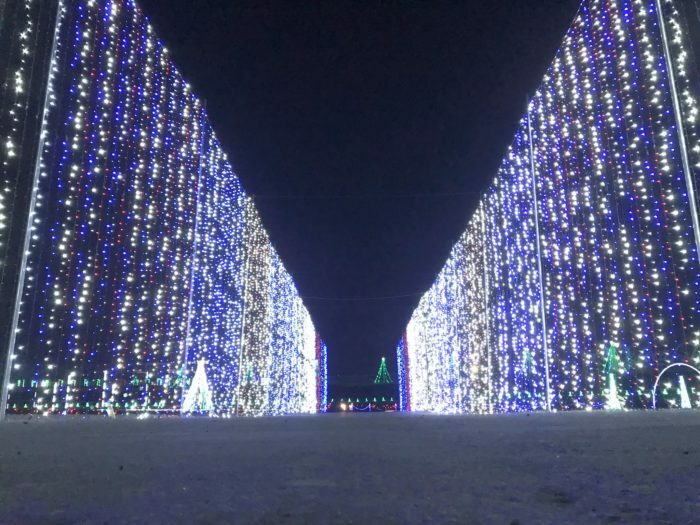 NASCAR fans finally get the chance to drive their own vehicles through the Charlotte Motor Speedway and see the more than 3 million Christmas lights that adorn the track during December. If you're family loves the sport of NASCAR, this is the way you must experience the holiday season. 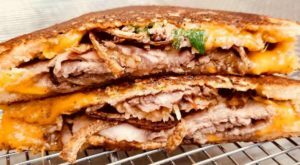 You'll be awestruck. 9. Enjoy a traditional German Christmas Market. 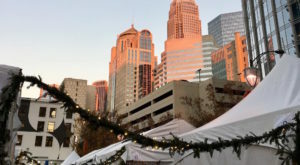 One of the best things about Charlotte during Christmas time is that you can always find a German Christmas Market to do some shopping and enjoy some great food and gluhwein. 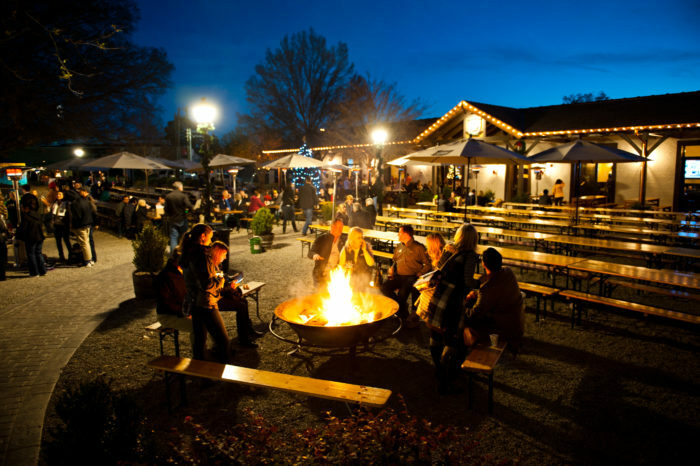 One of our favorite German markets is the Olde Mecklenburg Brewery's German Market taking place this weekend with great local vendors selling their works of art and handmade items. This market is a great place to catch up with friends and enjoy the spirit of the holidays while doing a little shopping too! 10. Cheer on the Carolina Panthers on Christmas Eve. Finally, there's no better way to celebrate Christmas in Charlotte than by cheering on our beloved Carolina Panthers each Christmas Eve. Typically a home game, the Bank of America Stadium is decorated with wreaths and full of Christmas spirit as loyal fans spend their night before Christmas at the game. This year, the Panthers go up against the Tampa Bay Buccaneers. Be sure to dress warm and come ready to support the home team. 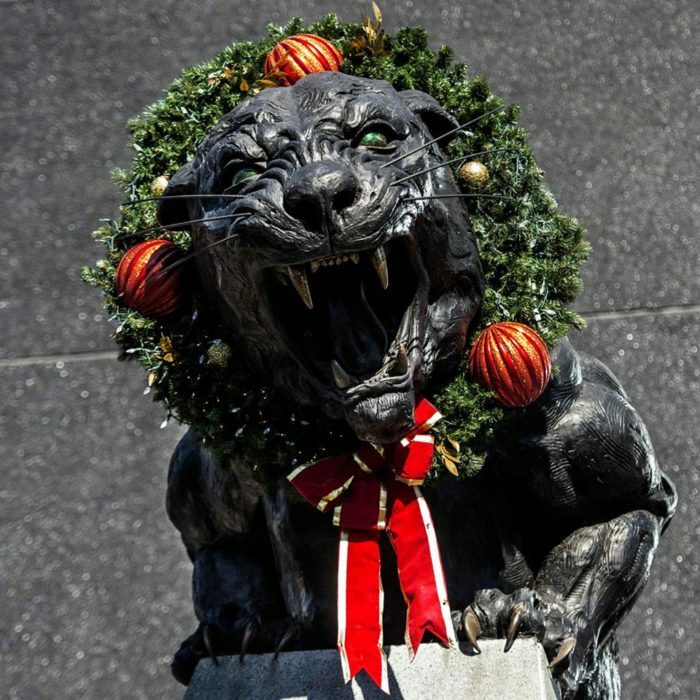 What’s your favorite holiday tradition in Charlotte? Share with us in the comments below!